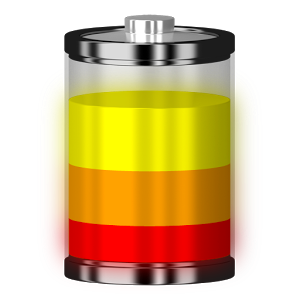 Battery Indicator is a lightweight application that displays battery information in Android’s status bar and home screen. – Displays last charging and discharging statistic information (time, level range, velocity). English, Polski, Français, 한국어, Nederlands, Tiếng Việt, Română, Pусский, Español, Українська, Italiano, Ελληνικά, Čeština, Português, Português Brasileiro, 中文 (简体), Magyar, Deutsch, Srpski, Türkçe, עברית, Slovenčina, العربية, Монгол хэл, 日本語, 中文 (繁體), Bahasa Indonesia, Norsk bokmål, Bahasa Melayu, Svenska, Galego, Lietuvių, Slovenščina, Hrvatski, Latviešu, Eesti. You can become our translator – see details in application. – Fixed incorrect voltage indication on some devices. – Fixed application crashes when using Catalan language. – Added Bulgarian language version. – Updated many language versions.